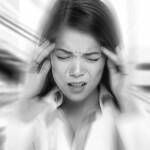 The sudden feeling that either you or the world around you is spinning, also known as benign paroxysmal positional vertigo (BPPV for short), is one of the most common causes of vertigo. These episodes can be brief and mild or range all the way to extreme dizziness. What are some symptoms you may experience if you suffer from vertigo? What triggers these episodes of vertigo varies according to each person, of course. Nonetheless, they are almost always associated with a change in the position of the person’s head. The system of the body that aids in balance and spatial orientation is called the vestibular system. It is made up in part by the inner ear and fluid-filled canals. When the vestibular system is not functioning correctly, the brain receives incorrect information regarding movement and body position. This results in the sensation called vertigo. In about half of the cases, doctors may be able to find a specific cause for vertigo. This cause is generally associated with either severe or minor head injury. Upper cervical chiropractors, unlike most other medical doctors, have been working long and hard to correct the underlying cause of vertigo and other conditions that cause dizziness. The uppermost two bones in the neck have the extremely important job of protecting the brainstem. The brainstem plays a huge role in the body’s sensitivity as to where it’s positioned. 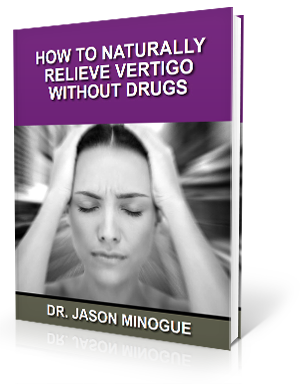 Finding a doctor who is an expert in the field of vertigo is essential. Dr. Jason Minogue located in?Houston, Texas is such a doctor. He uses a highly specialized method to analyze and find misalignment in the upper cervical spine. Chiropractors call such misalignment a subluxation. When this is located in the upper cervical area, it is often found to be the cause of vertigo. In 2006, a study was done of 60 patients who suffered from vertigo. After going through upper cervical spinal care, 100% of them reported that they were either improved or totally symptom-free. One participant, a 37-year-old who suffered from vertigo, reported after a month of such care that she was completely free from the vertigo sensationi. How can you know if an upper cervical subluxation is the cause of your vertigo? You can find out by having an analysis done by an upper cervical chiropractor. In that way, the cause can be corrected, and you can once again live a vertigo-free life.